In Ohio, alimony is known as spousal support. Spousal support is money or property one spouse gives to the other, usually pursuant to a divorce or dissolution, for the purpose of support and sustenance. Under state law, these awards are separate and distinct from any distributions of marital property made by the court. Typically, spousal support is awarded upon the request of either spouse and only after the court has made an equitable distribution of the couple's marital property, which is most property acquired during the marriage. Not only do the courts have authority to award spousal support upon the finalization of a divorce or dissolution, but also during the proceedings. This is known as temporary spousal support or spousal support pendente lite and terminates when the divorce or dissolution decree is entered. Once a spouse requests support, the court must decide whether it is reasonable and appropriate under the circumstances. To make this decision, the court evaluates a variety of factors, including each spouse's income, length of the marriage, spouses' ages and physical, emotional and mental health, standard of living established during the marriage, contribution each spouse made to the education, training and earning ability of the other spouse, and time and expense necessary for the requesting spouse to receive sufficient education, training and job experience to be self-supportive. If the court finds that spousal support is justified, it must take the paying spouse's ability to pay and the recipient spouse's needs into consideration when setting the amount and duration of the award. In Ohio, spousal support may last indefinitely or terminate upon a certain date or happening of a specific event, such as death or remarriage. When it comes to your divorce or dissolution and the issues involved, from property division to child custody, you don't have to let the court make these decisions for you. Instead, you and your spouse can enter into a marital settlement agreement, also known as a separation agreement, that tailors the terms of your divorce or dissolution to best fit the dynamics of your family. This includes the terms of spousal support. If you and your spouse are on good terms and work well together, this may be a viable option. Once you create an agreement, you would then submit it to the court for review. If the court finds the terms acceptable and fair, it incorporates the agreement into your final divorce or dissolution decree, creating an enforceable court order. After your divorce or dissolution, whether spousal support can be modified depends on the language and date of the settlement agreement or decree. Generally, spousal support can be modified only if the decree or agreement included language reserving the court's jurisdiction to do so. If it does not, the award is not modifiable. However, decrees entered before May 2, 1986 are treated a bit differently. 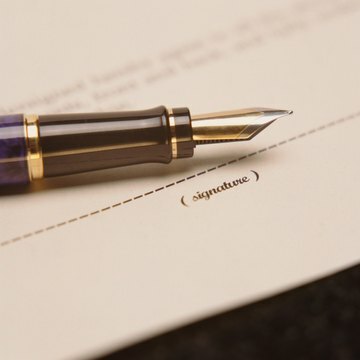 For decrees established before June 23, 1976 that incorporate a settlement agreement, spousal support is not modifiable unless there is modification language or the existence of misrepresentation, mistake or fraud. If established between June 23, 1976 and May 2, 1986, spousal support is modifiable, regardless of whether modification language has been included or fraud, mistake or misrepresentation is present. If established before May 2, 1986, but a separation agreement is not incorporated, spousal support is modifiable, even if the reservation language is not included. For courts with authority to modify spousal support orders, they can only do so if there has been an unanticipated and substantial change in either spouse's circumstances such as a job loss or remarriage. The marriage relationship is supportive in nature. For that reason, courts in New Hampshire are sensitive to the needs of both spouses after divorce, and have the authority to order one spouse to pay financial support to the other for a specific period of time or indefinitely. This is known as alimony. Although there is no set formula for determining alimony in New Hampshire, there are certain factors a court considers when awarding or modifying it.